The Brno Philharmonic holds five festivals throughout the year that are aimed at audiences of all ages and lovers of every genre and style. Several of them are the only instance of their kind in the country and are highly acclaimed by experts and audiences alike. 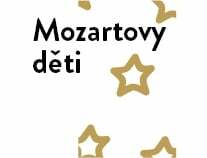 The festival year starts with the Easter Festival of Sacred Music; the turn of May and June is the time for Mozart’s Children; the Špilberk Festival offers a musical experience under the summer sky; and autumn belongs to the Exposition of New Music. Held biannually, Moravian Autumn has won international recognition over its 49 years of existence.